“Sew, Let’s Quilt Along” Block 3 Release! | Sparkle On! It is with my great pleasure to announce the release of Block 3 of the Sew, Let’s Quilt Along, “Ruler” designed by Sherry Shish of Powered by Quilting . Visit her blog to download her free pattern and view her tutorial post. I’m excited to use this block is a small project I have in mind for it. Small project host’s will show you their creations for your inspiration when the fifth and last block of this segment is released, May 7th. If you prefer you can save your blocks to make a quilt top. There are also several hosts who will be using all thirteen blocks to make a quilt and provide your with setting suggestions at the end of the QAL. I always review a pattern completely before cutting. It helps me know what techniques will be used and get a feeling of how the pieces go together. This block requires precision. Check your 1/4” seams for continuity as you go along. Also, check that each section of your ruler grid is the same measurement as the pattern lists and the grid lines match up before sewing the strips together. Starch! Stiffer fabric keeps all the pieces from stretching out of shape. This step also helps make sure your ruler grid pieces will all match up. Visit the hosts to see this block in a variety of fabric and color inspirations. Host’s also provide their own tips to sewing this block, as well as answer any questions you have and encourage you! Join the Partners in Design Facebook group . Here you see other participants blocks, post your photos and ask any questions. Check out this awesome prize package we have for the winner of Segment 1! A great thanks to our wonderful sponsors. Large Folding Cutting Kit that includes an 18″x 24″ mat, a 3″x 18″ ruler and a 45 mm rotary cutter. A Timeless Treasures Tonga Treat Strip Jr. “Orchid” -20 pc 2 ½ strip pack. Participants can enter the prize drawing by sharing a single photo with all five of your completed Segment 1 blocks on the Partners in Design FB page, IG #sewletsqal, or the ending linky party by May 20, 2019 by 11:59 pm (EST). The prizes are open to international participants and all participants must be at least 18 years old. 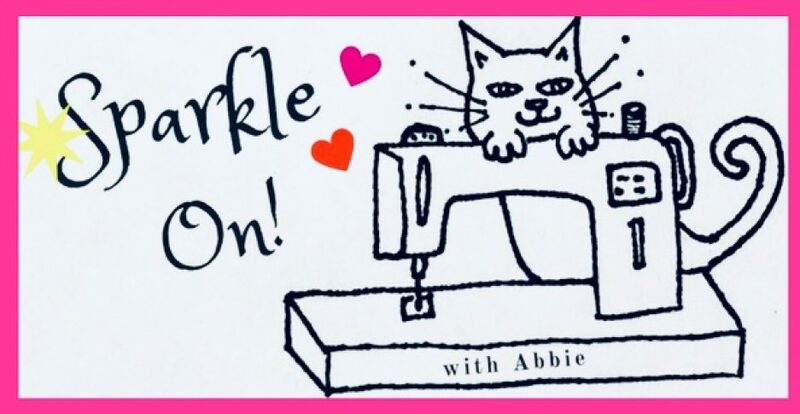 Please make your blocks your own in fabrics and embellishments, but only those that make the designer’s pattern are eligible for prize entry. There is also an amazing Grand Prize giveaway to enter at the end of the QAL if you complete all thirteen blocks! Mystery Block 4, designed by Bobbi Bridgeman of Snowy Days Quilting will be release on April 23rd! Please quilt along with us! We are enjoying this fun journey with you! I love your pretty ruler, Abbie. You did a great job, it’s a demanding pattern but the finished blocks are so cute! This is a very cute block! Thanks for the tip on the starch for seam precision. I don’t use starch, but I probably should. What type do you use? Happy Wednesday evening to you my friend! cute block Abbie! I agree with you on starching fabric — I’m amazed with my accuracy since I’ve started starching everything! Have a great day! Thanks Karla! I love to starch everything too! It really does makes a difference with cutting and sewing. I’m having a crazy busy week…it’s making the days go by quickly! Take care Abbie! Why not make your ruler pink? Here I was thinking only of colors in my rulers but I love your pink version! So happy. I’m intrigued to see the project you use it in. Thank you Jennifer! I love pink and it’s fun to incorporate it in this QALs blocks. You are so right that this pattern needs precision but it also needs time not to rush. I think yours turned out great. Great block and what a fun choice of colors! Can’t wait to see this in our projects!!! Pretty Blue used in your ruler block! This one looks like a sure challenge for me!